Oscar Yuan, at Millward Brown Optimor, has written a really interesting Point of View about innovations in marketing. In it he suggests that marketers are moving from talking to doing and references brands like Citi, which has created new utility for consumers through its bike rental program. Now I read that Kleenex has joined the ranks of brands seeking to create value beyond their immediate functional benefit. According to Jack Neff of AdAge, Kleenex will be rolling out My Achoo, a proprietary forecasting model using Centers for Disease Control data. The advantage of using My Achoo is that it claims to predict where flu will strike within the next three weeks with 90 percent accuracy. Not only will the site forecast specific cities likely to be hard hit, it will also allow consumers to get regional updates by entering their zip code. Unlike some of the other “added value” schemes which simply seek to garner increased saliency through name recognition, the Kleenex initiative aims to impact sales more directly. Alerting consumers to the advent of flu gives them a chance to stock up on those all important facial tissues ahead of time. And Kleenex is not shy of making that case in traditional TV ads and also plans to deploy a “Kleenex Checkpoints” traveling promotion that will follow the My Achoo predictions to new cities as the flu season progresses. What I like about My Achoo is that it is a marketing initiative that is still related to the brand’s core purpose, and it does not ignore the fact that making a strong connection between a need and a brand is the most direct way to drive sales. Laudable though the Citi bike rental scheme might be, there is a far less direct connection between that and the services by which Citi actually makes money. 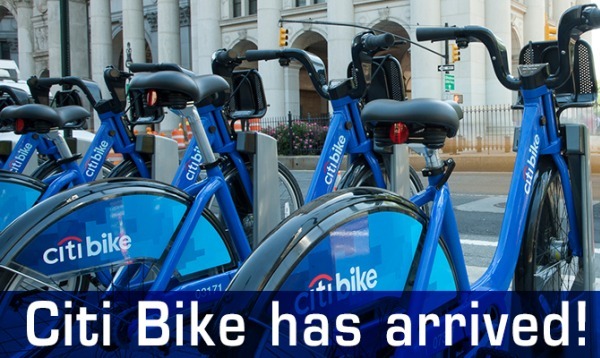 In the long-term, this may still serve the brand well since seeing the blue bike racks will undoubtedly remind people of the Citi brand, and using them should create positive associations that link back to the brand. This just feels like a more indirect and nebulous way of influencing brand associations than the Kleenex program. This said, I did also note another article in AdAge that suggested that Green Giant was seeking to attract the attention of Millennials with an “X-Rated” web video. Yes, I watched the video and it is one of the more puerile marketing efforts I have seen in a long time. To my mind, it is a classic example of attention seeking with no thought to how that attention will help build the brand or drive sales. But then I am not a Millennial am I? Maybe you are. What do you think? Please share your thoughts. I really like the emphasis on brand actions rather than ‘communications’. I’ve been using that language for a while to describe marketing initiatives and it feels right.